High quality, crafted precision, product freshness, careful selection of the finest raw materials, respect and consideration for our customers: these are Ferrero’s “key words” and values which have helped make its confectionery well-known and loved by millions of consumers all over the world. Its products are the result of innovative ideas, and are therefore often inimitable, despite being widely distributed, and have become part of the collective memory and customs of many countries, where they are often considered true cultural icons. Ferrero also means caring about hygiene, the environment, social issues and the local communities where the company is present, as well as its own human resources. 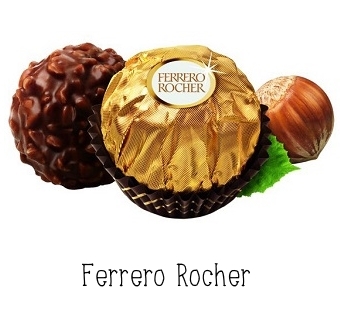 Today many Ferrero products are “global”, in that they are sold everywhere. Ferrero is now the fourth largest confectionery group in the world. However Ferrero’s distinguishing characteristic is that it is “glocal” (think globally, act locally), a company which is both global and local, which focuses on international development, without losing sight of its relationship with local communities. The consumer is always at the centre of our strategy. Ferrero’s relationship with its consumers is based on longstanding and mutual trust, built up over the years with expertise, experience, understanding and intuition. This is a measure of Ferrero’s interest in consumer needs, and this is a key factor of the company’s success.